Buenos Aires (AFP) - Former Argentina president Cristina Kirchner, who has been accused of receiving tens of millions of dollars in bribes during her term in office, will go on trial for corruption, a federal court confirmed on Thursday. Kirchner is accused of running a criminal network related to the infamous "corruption notebooks" scandal -- revealed through the meticulous records of millions of dollars in bribes paid by businessmen to government officials kept by a ministerial chauffeur. The court accepted a request by judge Claudio Bonadio that Kirchner, now a senator, be held in pre-trial detention, but her partial parliamentary immunity prevents that from happening. She is protected by lawmakers' immunity from imprisonment, but not from prosecution. In August, the Senate voted to partially lift her immunity so that investigators could search her three luxury homes -- but unless it is entirely lifted, she cannot be jailed even if found guilty. Soon after learning the decision, Kirchner hit out against President Mauricio Macri's government. "I say: where will the verdicts be written? All at the request of and custom-made by Macri," she said, also pointing a finger at the center-right coalition Cambiemos and Clarin newspaper, which has long opposed her. The court also seized 1.5 billion pesos ($38 million) worth of her assets and ordered former planning minister Julio de Vido to be prosecuted for his role in the illicit association. Several other people, former junior ministers and businessmen, were ordered to be released from detention but will still be prosecuted for bribery. 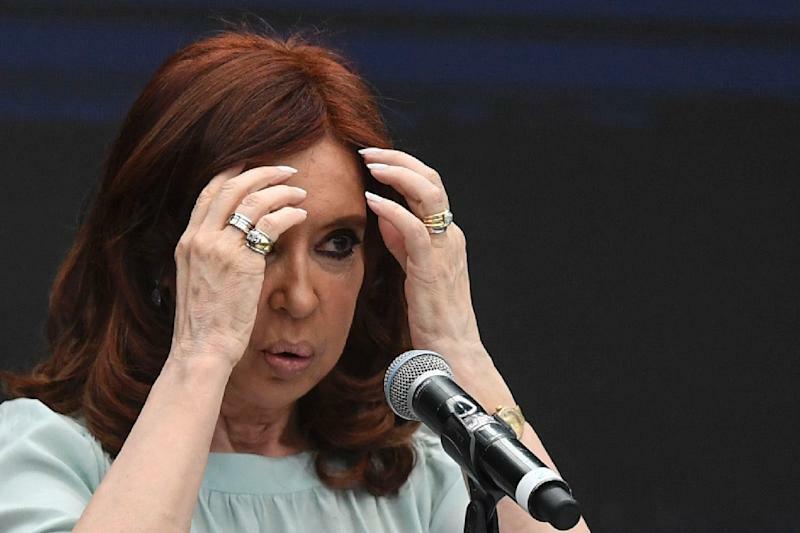 Both Kirchner, 65, and her late husband and predecessor as president, Nestor, are suspected of having received millions of dollars in bribes from businessmen in exchange for large-scale public works contracts. The payments were documented by ministerial chauffeur Oscar Centeno in notebooks seized by investigators. Nestor Kirchner, who died of a heart attack in 2010, was president from 2003-07, with his wife then serving consecutive terms until 2015. More than a dozen former government officials and 30 top businessman are implicated in the case, first reported by La Nacion newspaper on August 1. The scandal has engulfed practically the entire construction industry in Argentina, even involving Macri's family. His father Franco and brother Gianfranco were called before Bonadio last week to answer questions relating to the Autopistas del Sol company, a subsidiary of the Macri Group, in connection with alleged bribes paid to secure highway contracts. His cousin and businessman, Angelo Calcaterra has also been caught up in the probe. The president, who held important roles in the family business started by his father before beginning a political career, has not commented on the case, while the government has said it respects the judiciary's independence. Away from the corruption scandal, Macri has his hands full managing an economic crisis that has seen the peso lose 50 percent of its value against the dollar this year, while Argentina entered recession earlier this week. Macri has secured a $56 billion bailout loan from the International Monetary Fund to try to drag Argentina out of its problems, while implementing tough austerity measures.